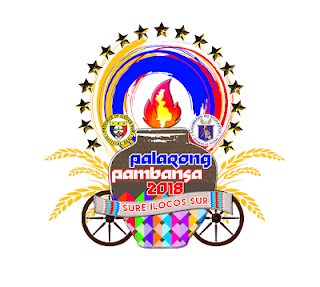 BANTAY, Ilocos Sur--Lheslie de Lima of Bicol Region held on in the final 100 meters as she took home the inaugural gold medal in the 3000 meters Steeplechase - Secondary Girls at the 2018 Palarong Pambansa in Quirino Stadium, Monday morning. The 3-time Palaro medalist in the 800 and 1500 meters clocked in with a time of 10:06.54, snipping out early favorite Camila Tubiano of Northern Mindanao in a close-knot finish. It was a nip-and-tuck battle for de Lima and Tubiano, with the former putting on strides most of the race before losing steam in the last 100 meters. Tubiano clocked in at10:07.02 to take silver while Grace Tejones of Western Visayas ticked in at a distant 10:52.99. An early fall from the host region spelled doom the rest of the way, as both de Lima and Tubiano started breaking away from the rest of the pach. Over at the University of Northern Philippines in Vigan, Christian Ampong of the National Capital Region speared 58.51 meters to claim the reigning champion’s first gold medal in the Secondary Boys’ Javelin throw. Ampong unleashed his full strength and came close of breaking the existing Palaro record of 59.46 meters set by James Lozanes of Western Visayas set last year in Antique. MIMAROPA’s John Paul Sarmiento took silver with a distance of 53.87 meters while SOCCSKSARGEN’s Jhon Dave Tumulak threw 53.66 meters and claimed bronze. Cagayan Valley’s Algin Gomez, meanwhile, came close of tying the existing Palaro record in the Secondary Boys’ Long Jump with a gold-medal performance of 6.96 meters and ran away against a strong challenge from the best long jumpers in the annual meet. James Oliver Mein of MIMAROPA almost stole Gomez’s show when he jumped 6.88 meters to claim silver. SOCCSKSARGEN’s Lowell Jay Batobalani took bronze with a distance of 6.76 meters to complete the list of podium finishers.